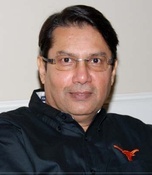 Jayesh Parekh is a Managing Partner at Jungle Ventures. Jayesh is a Co-Founder of Sony Entertainment Television, a major television network of Sony Pictures Entertainment, a division of Sony Japan. He is a board member of Aavishkaar India Fund 2, Milaap and One Animation.